You might wonder why there are Somali “refugees” in Minnesota. Why the U.S. flew them over a half dozen or so safe, Sunni Muslim countries. Then brought them to our shores. Why at the same time we spurned Iraqi Christians with nowhere to go, whose country we’d actually messed up and rendered unsafe for them. But that would be silly. We can spot it as part of a plan, one newly elected President Barack Obama announced right at the start. His goal? The “fundamental transformation” of America. His core supporters counted on that, and its interruption by Trump’s narrow win brought on their two year tantrum. A big part of the plan entails stuffing the place with Muslims. They serve (along with sexual minorities, disaffected ethnic groups, and newly imported socialist voters from Latin American backwaters) to replace the “proletariat” in the cultural Marxist scheme. The working class in America never warmed to Marxism. And even in Europe blue collar workers have turned away from his arid, empirically falsified philosophy. So where to go for the shock troops who will drive the Revolution? Recruit them from screwed up undergraduates in college. Sneak them across the southern border. And fly them in from overseas. That’s why the same leftists who don’t give a fig if we leave Asia Bibi to hang in Pakistan want to fly in more Somali tribesmen to northern Maine, Minnesota, and other climes they’ll find unpleasantly frigid. Once you have enough Muslims, it’s easy to ban still more public displays of Christianity. Once you have enough Muslims, it’s easy to ban still more public displays of Christianity. They’re “unwelcoming” and “marginalizing,” you see. You’ll find some veal-pale liberal believers eager to agree, to send off more virtue signals by claiming that honoring Christ on His birthday is simply … unchristian. 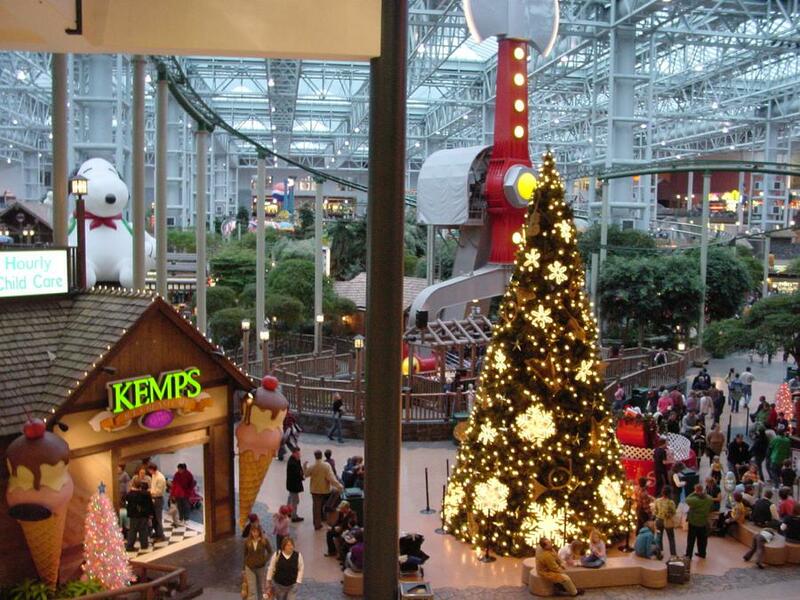 A Minnesota newspaper recently reported that the Twin Cities now can boast “the nation’s highest rate of terrorism recruitment.” A few years back, there were verified terror threats against that Minnesota landmark, the Mall of America. A Somali terror group, Al Shabaab, announced that it would weaponize its operatives in Minnesota to avenge … oh, something or other. The default Islamic posture these days appears to be smoldering outrage, at their failure (so far) to conquer every last square inch of our planet. But now I’m happy to say that The Mall of America is safe. Islamists won’t attack it, I think, because it’s now a sharia-compliant space. Ramin Parsa, the former Muslim Christian pastor and refugee from Iran … arrested for trespassing after sharing his testimony at the Mall of America (MOA) in August, faces a pre-trial hearing on December 11 and a formal trial shortly thereafter, unless prosecutors drop the charges…. In an interview with PJ Media, Parsa recapped the story. “On Saturday, August 25, I was speaking at a church. After the church service, one of the elders and his 14-year-old son offered to show me the biggest mall in North America,” he explained. “Police didn’t even ask me what happened — they just read what the mall told them,” Parsa told PJ Media. He even had to bail himself out. If the courts convict Parsa, that means it’s effectively illegal to talk about Jesus Christ in private conversations with Muslims in Minnesota. Mr. Parsa is only slightly safer than Asia Bibi is in Pakistan. Remember that her “crime” was doing exactly the same thing. Parsa doesn’t face the death penalty, but he’d better hope he doesn’t do any jail time alongside Somali refugees. He could easily end up dead, like Englishman Kevin Crehan who died in prison, for the crime of pranking a mosque with a bacon sandwich. If the courts convict Parsa, that means it’s effectively illegal to talk about Jesus Christ in private conversations with Muslims in Minnesota. Mr. Parsa is only slightly safer than Asia Bibi is in Pakistan. Remember that her “crime” was doing exactly the same thing. We don’t have Islamic blasphemy laws on the books yet. Great Britain seems set on passing one which criminalizes criticism of Islam. Instead, we let fake refugees distort and hijack our existing laws. Then prosecute real refugees, for the “crime” of defending our nation’s predominant religion. And the elites who hate Christianity, and laugh at Islam, who backed our insane refugee policy, nod and smile. Their foot soldiers are on the march. Accurately describing so many on the left as the useful idiots they are is not an insult, it’s a reality with a historical foundation that is playing out today. Try to direct their attention to this latter point and, well, you just get the empty response of a useful idiot. Even when you point out the stark contradiction between Islam and their beloved progressive ideology, you generally get the same empty response. They are unflinching in their entitled sense of hypocritical tyranny, and yet on their way to being defeated by their own political correctness. Did I mention how these people are useful idiots? Useful idiots to marxism, but they know why this is being done. marxism feels it failed due to having no religious component. They accept islam to fill that void because marx stole so much of his techniques from mohammed. I think it’s more of “The enemy of my enemy (Christianity) is my friend”. Not at all. hitler said he could have taken over the world if Germany was a mohammedan country. The Church and every Catholic stood in the way of hitler at every turn, and the fabians knew they could never succeed with the Church on this world. They are just testing out hitler’s theory. What a load of crock. I live in Minnesota and go to MOA plenty of times. There is no soliciting for anything and they are pretty darn strict about it. Not for religion, not for your sick puppy, not for anything. I had a woman recently beg me for diaper money while shopping. She was going around asking everyone. She got kicked out. They enforce their rules. The Somalis are here because of non-profit and Church organizations, which Minnesota has plenty of, it wasn’t a government effort. You blame it on liberalism but there was likely money involved . I personally think it was a bad idea and they are not a great cultural fit, and do agree we should be taking more Christian refugees, but if you want that to happen then organize within whatever group you are a part of. I have my issues with Somalis, but this guy used to hand out Bibles in Muslim countries and wants us to believe he just randomly got into an innocent conversation about Somalis and then got kicked out. Right. Maybe he should follow rules and not get so belligerent with cops who are doing their jobs. 18Then they called them in again and commanded them not to speak or teach at all in the name of Jesus. 19But Peter and John replied, “Which is right in God’s eyes: to listen to you, or to him? You be the judges! 20As for us, we cannot help speaking about what we have seen and heard.” Sounds like you have a lot of issues, not just with Somalis. Thankfully you aren’t in charge of anything. Your doubts about the Pastor Parsa story may be reasonable, but let me just make a couple points. First, would this have even been an issue if the Somalis had been given asylum in the first Muslim country they could reach, as international law requires? Second, is a story like this one that easy to doubt? How much accomodation is enough? What if the accompanying pastor and his son (witnesses) corroborate the account? He was not belligerent at all. In fact, HE was approach (engaged) by 2 Somali young ladies just to talk. A third Somali woman approach all of them, and created the incident in the first place, and even battled with the first 2 women who were simply having a conversation THEY initiated with Pastor Parsa – AND DEFENDING HIM.. The “eye in the sky” security camera videos prove that..
AFTER he and the other local pastor and his son voluntarily disengaged, and went into the coffee shop for a while, he was met by 2 more Mall Cops and THEN was arrested.. Knock off the excuse making, please. This IS wrong.. I have interviewed both Pastors. This is one of the most laid-back men, and decent people, I have ever interviewed.. He was there to enjoy his evening with the host Pastor in Minnesota and his 14 year old son. That’s it! How about a little TRUTH from everyone, regardless of political bent! PS.. This good man was not “soliciting” anything at all. He was responding to a conversation he did not initiate..
Obama specifically did it because these people were not a good cultural fit. It was done on purpose to “fundamentally transform” America, as the article says. The whole objective was to create more votes for Democrats (or cheap labor for the RINOs). I’ve not found a single article that mentions any church groups footing the bill for this. If you think talking to two people after they asked you to talk to them is belligerent, you must live inside a plastic bubble.In any case, such a perspective is completely invalid. Yes, we should believe a guy who hands out Bibles, because he is claiming honesty as his way of life, and because you have zero evidence that disproves what he said. The non- profits and Churches do this with grants from the federal government. The Catholic Bishops get a lot of their budget, I read somewhere it may be as high as thirty percent, for refugee management from the federal government. The feds bribed the non-profits in order to facilitate the transformation of our country. It is indeed a government effort. I grew up in Minnesota. This shouldn’t be happening. We have the right to share Jesus with others. We need more people witnessing to Muslims and all people at the Mall of America. I hope witnessing at the Mall of America isn’t such a rare occurrence that only one person gets arrested for doing so. Dena, please reread the story John has in his article. Pastor Parsa was ARRESTED for merely having the exact conversation in a PUBLIC place you just recommended. Yes, we must witness to all who do share our faith in Christ. But you are badly missing the point of the article if you think this now can be done without cost. Sorry, what I was trying to say is that we need more people witnessing to the Somalis in Minnesota regardless of the cost. (i.e. getting arrested). We live in a free country and that shouldn’t be happening, but even if it does happen it’s worth the cost. I read a staggering statistic. 95% of Christians have never shared the gospel with anyone. It’s easy to complain of how our society is becoming more secular and liberal. In the book of Acts the early church transformed their society and turned the world upside down. They saw their numbers increase daily as they shared the gospel. The difference today is many Christians are silent and blend in with society around them. You can’t tell the difference between a non-Christian and a Christian. Imagine if every Christian or even if 50% of Christians shared Jesus with their neighbor. We would see Revival and our society transform. They do need Jesus, indeed. The son of God, and a part of the “Holy Trinity”.. However, the Jesus of their ‘book” is a completely different man (according to them), and not a part of the Holy Trinity at all.. ..Just a prophet. 1,400 years plus of their history, and their moving target and “babble” proves that point completely..
By the way, just because they are smiling at you does not mean that they are your friends. Nor does it mean that, if given the chance, and the opportunity, that they will not turn on you, and me, in a heartbeat.. Proof? How many Christian churches, and Christians, reside in Somalia? ZERO! ..It’s like a little clue.. Thank you for publishing this. I would only add that it was under the leadership of Republican presidents (promoters of One World Order (and whose names we are not allowed to criticize anymore)) that the destruction of Iraq began and the fates of Christians there was sealed. I think you may be confused. I don’t believe it is Republicans who are supporters of One world government. That would be people like Soros who are definitely Democratic socialist. We already have some Muslims elected to congress and also some avowed socialist. I believe you have forgotten or never knew the reasons why removing Saddam Hussein was necessary. Maybe you should educate yourself. topic and regardless of the woman who stuck her nose into it..only to be a disrupter! I broke this story originally relating to Pastor Ramin Parsa this August…and his false imprisonment there.. I also went to the MOA 3 days later, to simply ask some questions of the MOA security personnel for my story.. They threatened to “arrest me” for “criminal trespass”, for simply knocking on their door.. ..No exaggeration at all.. This place is (was) a wonderful place to take my children and their classmates for an outing from time to time, when “Camp Snoopy” was the name of the amusement park. That was then, This is now..
Valley Fair, and the 100 Somali thug staged RIOT and BRAWL, just happened this Fall as well.. 6 police departments, State Troopers, a police helicopter, and first res-ponders, were all involved in the evacuation of 15,000 people over the course of 1.5 hours. 100 Somali rioters, and only 3 were arrested.. My daughter, son-in-law, and my 2 grandchildren were ALL caught up in this mess. The lying Minnesota media, and WCCO TV (CBS News) called it a “minor incident”..
Last November 12, 2017, 2 people were stabbed in a MOA Macy’s dressing room by guess who (or what)? On the same day, a MOA amusement park ride operator from the same “community”, was arrested for 5th degree sexual assault, for groping a Minnesota woman, while she sat next to her child on the ride…BECAUSE, per their “cult”ure, that behavior is expected, and even obligatory, because Mohammed and Allah says it is so.. In December of 2017, 26 year old Morgan Evanson was stabbed 14 times, while walking home from work in the eclectic Uptown Area of Minneapolis, and only saved by neighbors who chased the perp away just prior to the next intended assault of this poor woman. She survived her wounds and left Minnesota permanently, as well as many other Minnesotans will likely do now..
…The list of such atrocities is far too long to recount here… and increasing with such regularity now, that it is hard to keep up. The response from the authorities? …”Nothing to see here, just move along”.. Or, like Pastor Parsa, you will get arrested, and placed in MOA Mall prison, and deprived ALL of your civil rights, just for being a Christian, and on a simple visit and conversation, initiated by OTHERS at the MOA.. Very shortly now, even this commentary will be deemed to be actionable “hate speech” and a “hate crime”, and subject to some form of “blasphemy law”, which the latest corrupt MN Attorney General, Keith (AKA: “Hakim” “X” “Mohamed”) Ellison, and the latest corrupt incoming Minnesota governor, Waltz, and his Lt governor, will say it is so. Minnesota is now a brewing totalitarian state, and an extremely dangerous place in which to live.. Thank you for your original reporting, and for these additional, appalling details. God bless you, and keep you strong! Mr. Carrillo’s post keeps coming up as being in moderation. There’s no good reason for this. Agreed, not sure what’s happening. Minnesota is now a brewing totalitarian state, and an extremely dangerous place in which to live…..Particularly if you (we) are a Christian or Jew.. Thanks for writing about this!!! Hope you can talk about this on the Eric Metaxas Show!!! Trump won “by a narrow margin”??? Are you one of those haters…or just uninformed? The vote totals in key states were quite narrow. That’s just the case. Key states? That is NOT how an election is characterized. Trump blew Clinton out of the water. Period. Hence your statement is inaccurate and diminishes the impact of your piece. Mr. Zmirak is correct. The vote differentials in the Midwestern states that swung the election to Trump in the Electoral College were narrow. But it was enough to elect him. No sense getting upset about it. My point is that we won narrowly and have to be prepared to work even harder next time. I’m still laughing at youtube videos showing election predictions from all the “smart” people on TV. If he’s talking about a specific state…then he can say that about some because some were indeed close races. But overall? Which is what it sounded like…no. It was a blowout. And no one is getting upset. Best not to try to tell others how to react to things about which they are concened. Typing triple question marks tends to communicate excitement or concern, at the very least. 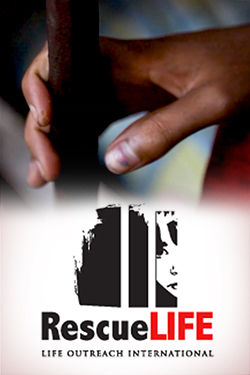 As to the blowout–what was the outcome in the popular vote? Doesn’t matter what the popular vote was. We don’t have a democratic system. We have an electoral college. Don’t like it? Work to change it. As far as whether the popular vote was legit? I’d be willing to bet my last dollar it wasn’t. And I pray that we do something about all the fraud. You can get leftists to commit fraud in a heartbeat. Ilegals will do anything for the chance to live on American welfare. My triple ??? indicate astonishment, usually over stupidity. Bob Carrillo’s comment is STILL in moderation. He hasn’t said anything offensive and his post adds even more context to the article. I’ve asked our tech guy to fix it. Should be fixed now. It was an automated thing. Never underestimate the Progressive passion to force compliance with its “diversity” goals. According to the multiple articles I’ve read he did not initiate the conversation but was asked about his background, including how he came to change from his Muslim faith to Christianity. Apparently, it was a third party who overheard the conversation and reported it. You’re correct that something is out of whack, but as someone from Minnesota I’m not surprised that it’s the mall itself. We are making easier and easier in accepting Sharia in this country. Why are we immigrating Muslims in the first place? Yes I want a religious requirement to new immigrants. Handcuffed to a chair for three hours? Sue. Zmirak’s conspiracy theory is totally false. There was no secret plan. I helped resettle Somalis when they first came to San Diego. Showed the ‘Jesus’ movie to some. The reason they ended up in Mpls and Columbus is that they wanted to work. They couldn’t compete with Hispanics, Vietnamese, Filipinos, Eritreans, Ethiopians here so the men searched the nation for work. They found it in Midwest meat packing plants including Marshall, MN. The TC are a big manufacturing area and MN has for decades been resettling refugees to escape its image as a white state. The Somalis were welcomed there and now compose a large percentage of the Mpls population. I know Somalis very well, both their strengths and weaknesses, but to charge it up to a conspiracy theory is a lie, pure and simple. There has got to be a litmus test for citizenship based upon adherence to Sharia. Since Sharia is antithetical to the constitution and what it stands for, they should disqualified and deported. This test should be based upon previous association within the last 10 years rather than simply lying during the procedure.